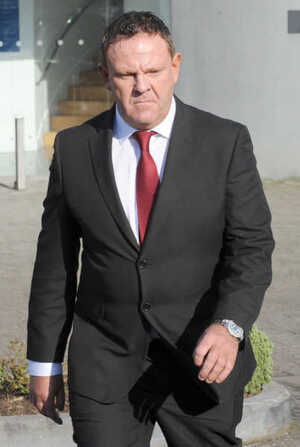 Kieron Ducie (top), leaving Trim courthouse yesterday after receiving a suspended sentence of two and a half years for his role in the events that led to Katy French’s death in 2007, and (above) today’s Irish Sun. A charge of endangerment was dropped. Katy’s parents believe Ducie has failed to explain why it took him 90 minutes to bring their daughter to hospital once the adverse effects of the cocaine he had helped to supply began to show. Posted in Misc and tagged Katy French at 10:56 am on February 20, 2013 by Broadsheet.